Huawei plans to soldier on in the U.S. market despite recent setbacks. "We are committed to the U.S. market and to earning the trust of U.S. consumers by staying focused on delivering world-class products and innovation," said Richard Yu, CEO of Huawei's consumer business, to CNET. 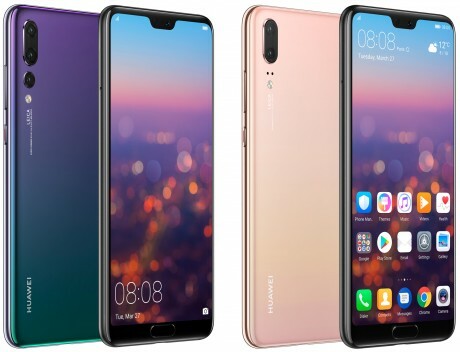 Earlier this week, Huawei announced the P20 and P20 Pro phones (pictured), contenders to the Apple iPhone and Samsung Galaxy S9. The phones boast gradient paint jobs and advanced cameras. Huawei, however, will not sell these phones in the U.S., at least not right away. Earlier this year, AT&T and Verizon Wireless dropped plans to sell Huawei's flagship device, the Mate 10 Pro, due to government pressure. Later, retailer Best Buy also said it would stop selling the Mate 10 Pro in its stores. Some in the U.S. government believe Huawei represents a security threat. FCC Chairman Ajit Pai has gone so far as to introduce rules that would make it illegal for companies in the U.S. to buy gear from Huawei and other companies that post a potential risk. Huawei insists these fears are unfounded. "The security risk concerns are based on groundless suspicions and are quite frankly unfair," said Yu. "We work with 46 of the [top] 50 global operators, and have maintained a very strong security record because security is one of our top priorities." Huawei may not have a carrier distribution deal for its phones, but the company does still sell its devices to U.S. consumers online. The company is the world's third-largest supplier of phones behind Apple and Samsung. "We recognize we are not a known brand in the U.S. and we need to build our brand here. Our first step is to win the trust of consumers." Huawei says customers will eventually be able to access and turn on their phone's Performance Mode. The action comes about after Huawei was caught by AnandTech cheating on certain benchmark tests, include 3DMark. Huawei lost momentum first with the loss of the AT&T, and possible the VZW deal, BB for what ever reason did sell their devices stopped selling them, agreed but still move on. Stick with Amazon and maybe some other brick and morter, for I would be interested in the P20 Pro (depending on price). And if all things being equal at what I'd be interested in getting, and I mean equal, not better not worse, I'd pick the P20 just to piiss off Trump and the fcc chairman Ajit Pei.